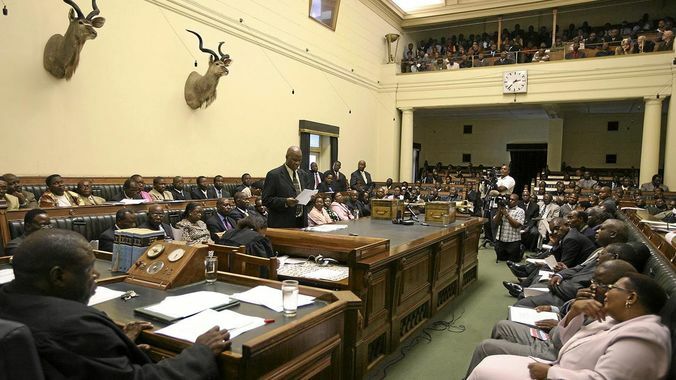 Parliament sat late last night until all the proposed amendments to the Electoral Amendment Bill had been dealt with. Below is an extract from Votes and Proceeding indicating which amendments were approved and negatived. To make sense of the Votes and Proceedings they will need to be read in conjunction with the Electoral Act [link] and the original Bill [link]. The approved amendments to the Bill have now been referred to the Parliamentary Legal Committee. 8. Committee: Electoral Amendment Bill (H.B. 6, 2017) – The Minister of Justice, Legal and Parliamentary Affairs. The Electoral Act [Chapter 02:13], is amended in its long title by the insertion after the phrase “to establish the Electoral Court and provide for its functions;” of “to take into account the gender equality provisions in the Constitution;”. The Electoral Act [Chapter 02:13], is amended in section 11 (“Provisions to ensure independence, impartiality and professionalism of Commissioners and staff and agents of Commission”) by the insertion of in subsection (2)(a)(i) after the word “to” of “enhancement of gender equality,”.